I really did not expect her to come in and read my entries, seeing what a busy person she is. Coupled with the fact that her stock has just risen following her newly crowned title as the Artis Baru Wanita Terbaik (Best New Female Artiste) at the recent Anugerah Planet Muzik 2008, I would expect her schedule to be even more packed than it already is. I’ve always liked her songs, ever since I watched the second season of “Gol & Gincu“, where her song “Seribu Penipuan” was the main soundtrack in the series. And then when her following single “Di Pangkuan Pilu” hit the airwaves in Malaysia, I was really won over by her vocals and her songs as they are a tad different from most female singers in the Malay market, and since not many are brave enough to experiment with a pop rock album, bearing in mind that local music consumers are so into Ella, a distinguished quality who is already in the scene for 20-odd years. When I gave a positive review on her in my APM2008 review, it was written without having any thoughts whatsoever nor have any designs that she would probably be reading it quietly or if anyone had informed her of it. I was just being frank on my assessment of her and gave credit where it’s due, just like how I can criticise and give credit to a certain party where I feel they came up short and if they have other aspects which deserves a well-mentioned praise. I believe I’m a fair person in that respect, in that I do not forget the good from the bad and vice-versa. Even if I bother on hypocrisy for being on the fence, it also depends on how each individual interprets my words and judge me as a person. So to Farah Asyikin, thank you for dropping by this humble abode of mine and leaving your short note on it. It really made my day to have one of my current fave singers coming in personally and liked what she read. Hope to meet you again in future and attend your shows Farah. Rock on sister!!! Right, I’m sure you guys would like to know how I contracted this current dreaded disease that is making its rounds in playschools, montessories, kindergartens, schools etc. Well it all began about two weeks ago when my niece, Nurin Diyanah, who is staying with us, went down with fever. Three days later, her younger brother, Muhammad, and my daughter Syahindah also went down with fever. 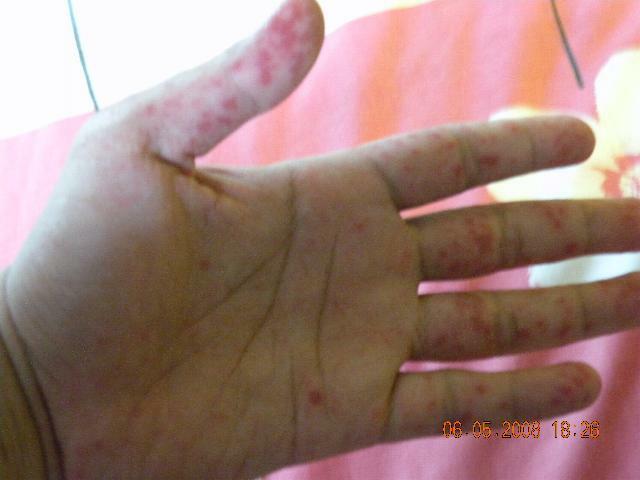 Surprisingly Nurin Diyanah recovered with no after-effects but her brother and my daughter began to have rashes on their hands, legs and faces. Syahindah was fortunate enough that the rashes were only limited to her legs right up to her buttocks. I woke up last Friday morning feeling a little groggy and having an extremely sore throat. I brushed it off as nothing more than effects of not having enough sleep since after all, I’ve been burning the midnight oil looking after my second daughter, Syadiyah Asyura, who is surprisingly active at night. However, the soreness in my throat did not go away and by the time afternoon came, I was completely drained. It was a wonder I could still walk some distance between my office to the mosque for Friday prayers. After prayers, I was already groggy and feeling as though a heavy weight was piling on my head. Told my supervisor I was not feeling well and off I sped for home. When I reached home, I immediately slumped on my bed shivering away. The wife sensing something wasn’t right, took my temperature and showed me the readings. It read 38.5 degrees Celsius, a sure sign I had fever. It was only after Maghrib that I found enough strength to see the doctor. He had speculated that I could have contracted the same thing as Syahindah but he brushed the possibility aside since the chances of an adult getting it was quite rare. He just told me to look out for any spots or rashes in the next few days. 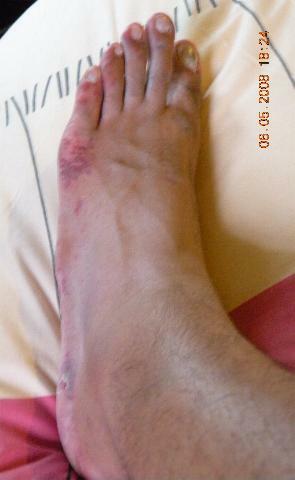 True enough, the next night, boils and blisters began to appear on my fingers and feet. This was on top of the on-off fever I had throughout Saturday. So another visit to the doctor was in store on Sunday night and he wondered what rotten luck I had for getting into such a predicament when I walked into his room to display my “wares” to him. I was expecting at least three days MC at the most but he said this disease is almost similar to chicken pox and one has to be quarantined at least a week before getting confirmation that he / she is fit to face the public again. Since I did not want to spend again just to see him for confirmation, I told him to extend my MC and in the end he gave me a hefty 10 days to sit at home. I winced when I heard 10 days. Most people would love to have extended MCs and stuff just to get away from work. Not me though, especially when I think of the idea of being cooped up at home without stepping outside for fresh air. Fortunately, I have loads of magazines and DVDs to while the time away. And I’ve been doing just that for the past 4 days now. I even managed to save my hard-earned dollars by watching streaming current blockbusters in our cinemas, on the Net. 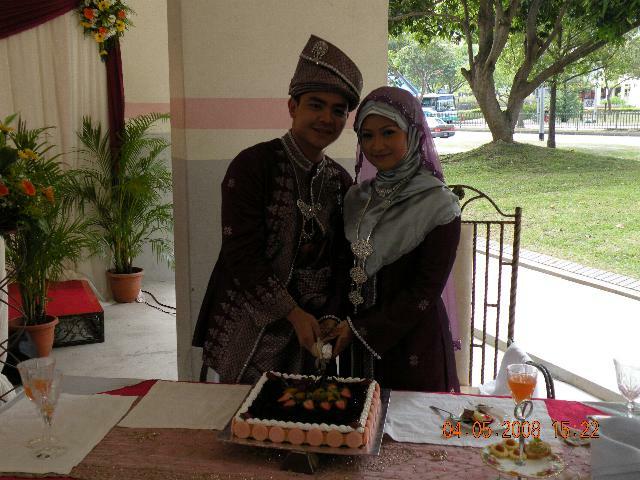 Md Irwan & Nur Fauzana Kaz – Welcome to the club!!! Thanks for viewing my ‘abode’. Get well soon and be safe!! !